During the Blind Wine Tasting Team Building activity, learn to savor and discover wine like a professional! This dynamic wine activity is an amazing experience for the 5 senses. 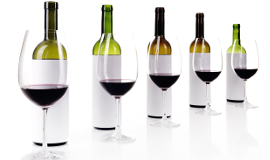 Blind tasting appeals to our senses and strengthens our understanding. With the help of an exclusive tasting placemat and a simplified structure you will compare two white wines and two red wines. You will learn the basics of wine, how to taste like a pro and the notion of terroir. The Old World versus the New World. During this workshop, you will be invited to taste in teams and describe, like a sommelier, the mystery wine. Each of us is unique and possesses different sensitivities and olfactory memories. It is for this reason that teamwork for this activity is essential.